It’s wedding season and for many of us, that also means it’s anniversary season. It’s time to celebrate the one you cherish most and show them how much you care, today and everyday. For many of us anniversaries can creep up, so plan ahead, set a yearly reminder in that calendar and make this time of year a time you focus on you and your special someone. From a once-in-a-lifetime hot air balloon ride to a personalized game with your name literally on it, we’ve rounded up some fun special gift ideas for your one and only. We’ve rounded up some fun special gift ideas for your one and only. Sometimes you just need a little push to turn off those phones, put away your to-do lists and spend some QT together. That’s why we are a fan of any “activity gift” for a couple’s anniversary. Plan a romantic picnic and with this Picnic Time Romance Picnic Basket, gift a Personalized Hearts Four Across Game or get a monthly Date Box sent straight to your doorstep. Each anniversary year has its’ own traditional type of gift: first year is paper, second is cotton, third is leather and so on. 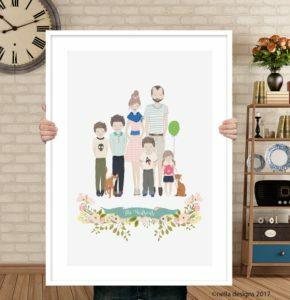 For year number 1, get your vows printed into Soundwave Art, have a Custom Family Portrait drawn or have Personalized Stationery made with your new last name. A photo gift is another perfect idea for year one (see below). For year two, try some cuddly Personalized Pillows and for year three try Monogrammed Desk Accessories or a keep-forever handbag or wallet. You have the wedding photos, the engagement photos and depending on what year you are celebrating, probably years worth of special family photoshoots. Don’t let all of those memories stay stuck on your devices, give a gift that lets you showcase those special moments. Try these Personalized Photo Coasters, a Social Print Studios Daily Calendar or Artifact Uprisings Photo Display Box. Similar to the activity idea, go a step further and romance one another with a little getaway. Even if it’s just a one night stay-cation — let your anniversary be a time where you force yourself to just get away and reconnect. 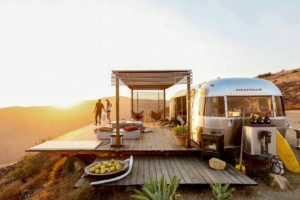 Gift each other an out-of-town Skydiving Session, a Hot Air Balloon Ride or book a one-of-a-kind Airbnb like a chic Malibu Airstream or an out-of-this-world Atlanta Tree House. No matter what you give for your anniversary, just focus on making it special and sentimental. It’s a great yearly time to check in, tune out your crazy work load or your teething toddler and focus on making each other happy. There’s nothing more romantic than that. If you’re looking for just the right gift for your special someone, browse our The Happy Couple Gift Guide or create an online wish list to drop a few hints. Be sure to follow Elfster on Facebook, Instagram @Elfster, or Twitter @Elfster to get even more ideas that are sure to thrill the ones you love. Lindsay Roberts Schey is the founder and gift expert of TheGiftInsider.com, a gifting resource that helps users find hand-selected and creative gift ideas. Lindsay scours the web, boutiques and magazines to discover the most unique and creative gift finds along with thoughtful ways to give them. In addition to curating the site, Lindsay is regularly interviewed about her favorite gift picks on morning news shows across the country, is a gift trend contributor to for various publications and has been mentioned on prominent outlets including E!News.com, Forbes.com and New York Magazine.